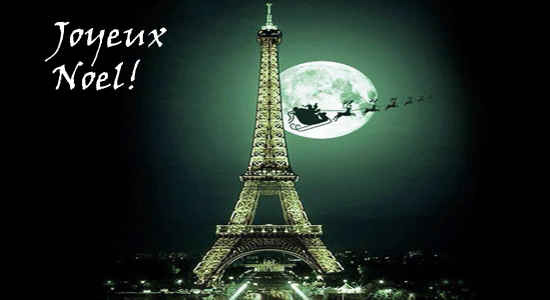 Listening Example: "Petit Papa Noel"
Our first stop is France. 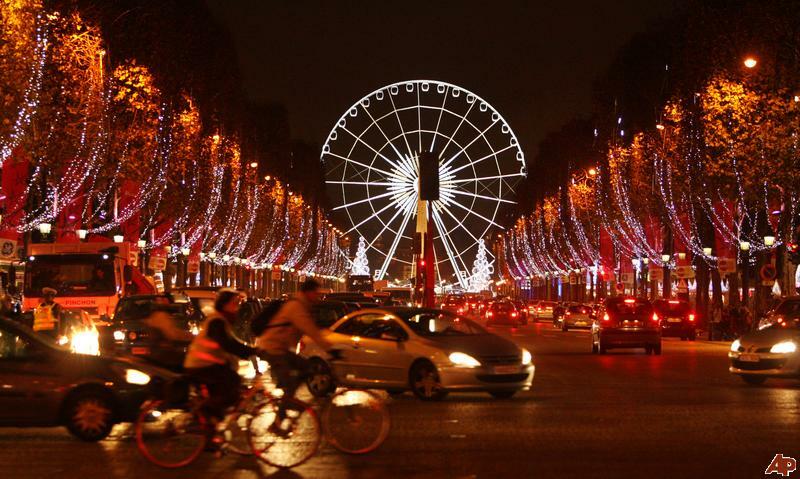 The home of the Eiffel Tower, the Mona Lisa, and really good cheese. 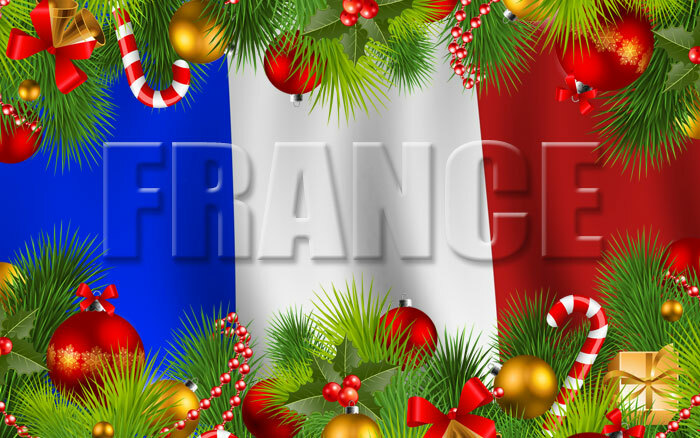 To say 'Merry Christmas' in French, you say 'Joyeux Noël.' Father Christmas, or Santa Claus, is called le Père Noël. 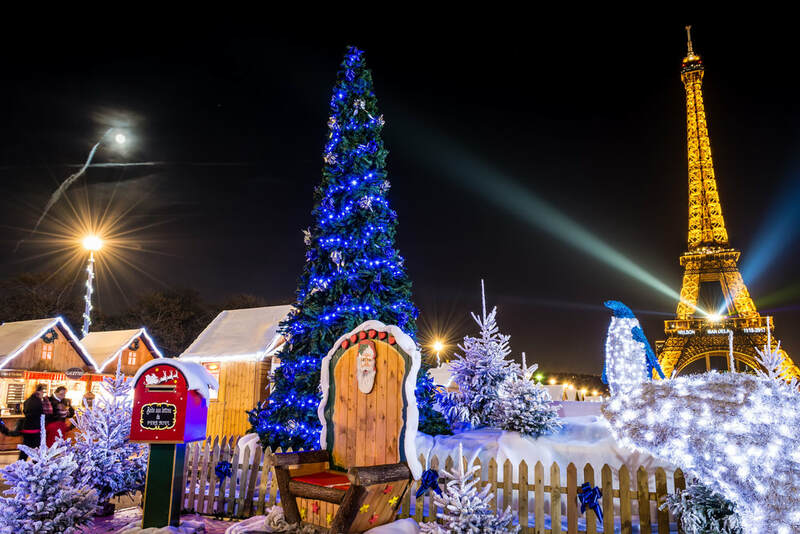 ​In many parts of northern and eastern France, Christmas celebrations begin on December 6th - also known as Saint Nicholas' Day. The celebrations take place because, once upon a time there were three children who got lost in the countryside. An evil butcher kidnapped them. Luckily, Saint-Nicolas and his donkey rescued the children and returned them to their parents. This is why Saint Nicholas is known as the protector of children. Another name for him is Santa Claus! ​On the night of December 5th (the eve of Saint Nicholas Day) children place their shoes in front of the fireplace and they sing traditional songs to the saint before going to bed. They believe that he will arrive on his donkey carrying treats and gifts for children. 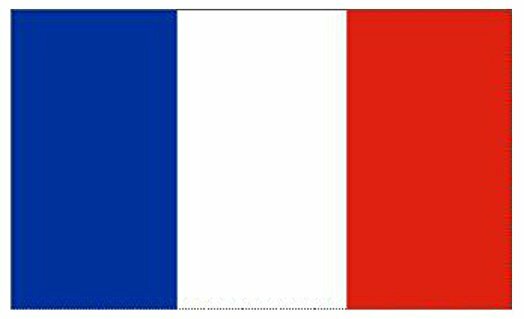 Today’s Listening Example is one of the songs the children of France sing. In fact, everyone in France can sing “Petit Papa Noël”, the song is about the arrival of Santa or Father Christmas (Papa Noël), sung from the perspective of a child hoping that Santa won’t forget the toys. Listening Example: "The Dreidel Song"
​The Hebrew word for dreidel is sevivon, which, in Yiddish, means “to turn around.” That makes a lot of sense, because the dreidel is a four-sided top which has four distinct letters in Hebrew on each side. The object of the game is to spin the dreidel and collect coins or candy depending upon what letter appears after each spin. ​To begin the game, everyone has to put something in the “pot”. That could be any agreed upon item such as candy, raisins, coins, or, more traidtionally, gimmels. Gimmels are chocolate coins given to kids during Hanukkah. Each side of the Dreidel has a different meaning. When you spin, if the dreidel lands on the “Gimmel” that means you get to take everything in the pot! Nun, means just what it sounds like, none. You do nothing. Hey means you take half of the pot. Shin means you have to put one thing in the pot. ​Today, we are going to listen to “The Dreidel Song”. It is also called "I Have a Little Dreidel" or "Dreidel, Dreidel, Dreidel". Today’s Listening Example is actually a group of Jewish accapella singers, called “Shir Soul”, who are playing the Dreidel game as they sing the song. The sides on their Dreidel stand for what part they will sing, Harmony, Melody, Beat Box, or Bass. 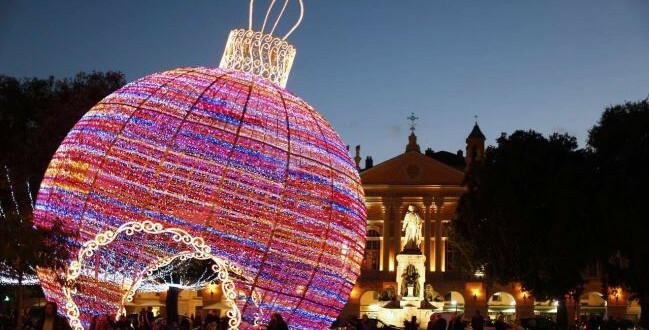 Listening Example: "Tu scendi dalla stelle"
The largest Christmas tree in the world can be seen every year in the Italian town of Gubbio. It is the illuminated shape of a Christmas tree, arranged on a mountain slope. It is 650 metres long and 350 metres wide. The Christmas tree of Gubbio is lit up on December 7th, just in time for the important Italian celebration of La Festa Dell' Immacolata on December 8th. This date is a celebration in honour of the The Virgin Mary. 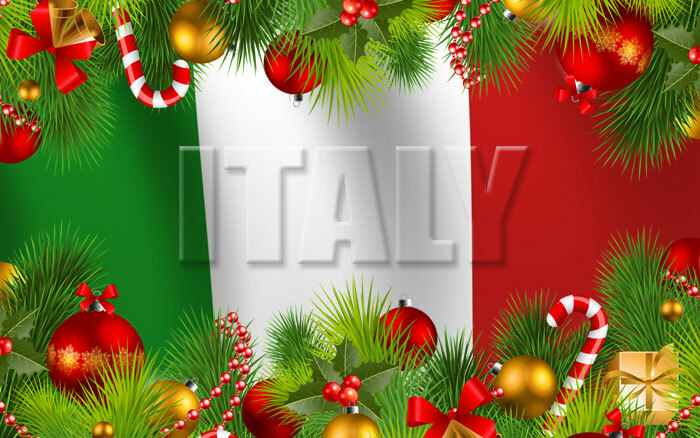 It is the date when most Italian families begin to put up their Christmas trees and decorations and is considered to be the start of the festivities. Today’s Listening Example is “Tu scendi dalla stelle” (Too schendy doll-a stay-llay), or “You come down from the stars” in English. 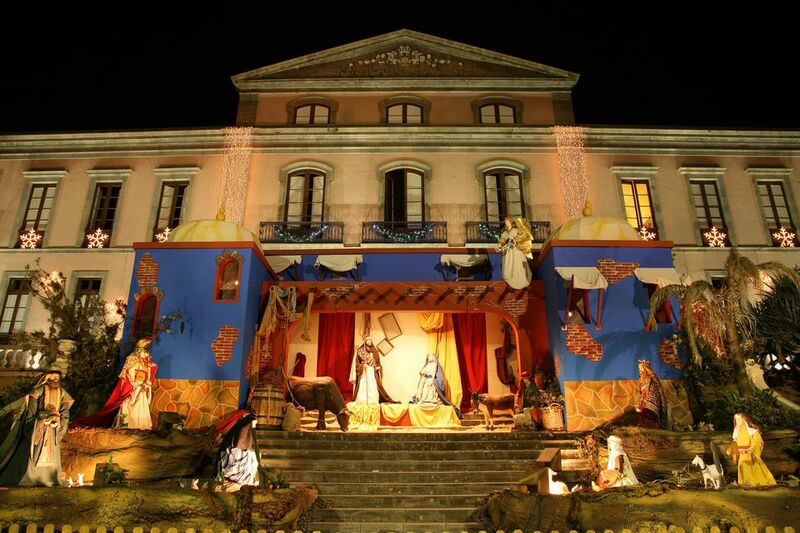 It was written in the early 1700s and describes the arrival of baby Jesus—from the starry skies to the cold and wintry Earth. There’s no way around this carol during Italian Christmas time, and the song is often performed by a children’s choir, which, as we all know, makes everything that much more festive. Listening Example: "Mi Burrito Sabanero"
Yesterday we visited Italy. Today we will fly over to Spain for our musical festivities. 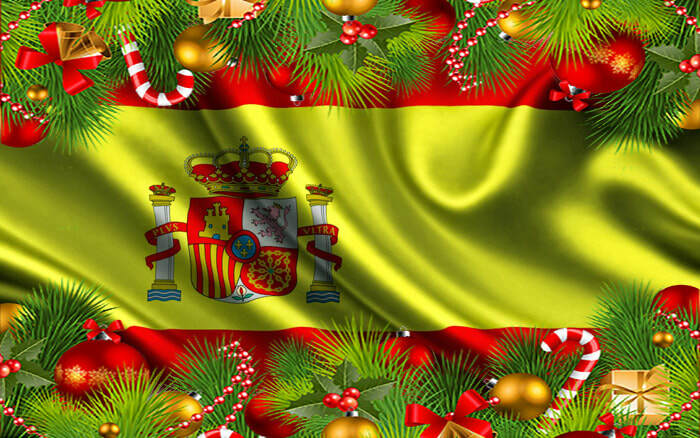 To say 'Merry Christmas' you say 'Feliz Navidad.' Father Christmas is Papá Noel. From around December 8th, in the Catalan area of Spain, families place a special Christmas log in a prominent position in the house. Nowadays, the log has a painted face and stands on legs! It is called El Tió de Nadal. The log is kept covered with a red cloth and is looked after like a pet until Christmas Day. Children make sure that he is kept warmly covered and pretend to feed him every day, just like feeding a doll. 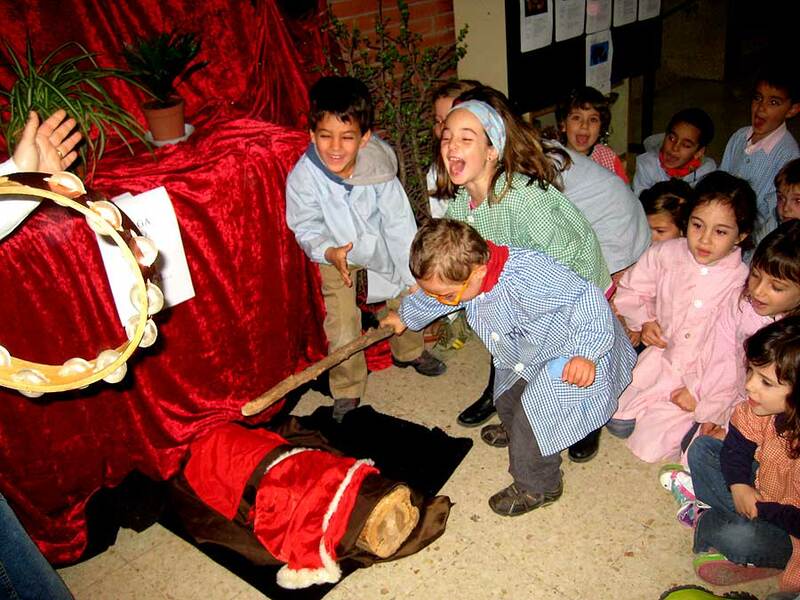 Then, on Christmas Day, children have fun hitting the log with a stick whilst singing a traditional song. Why do they hit the log?Well, to make it produce little gifts! After singing the songs and hitting the log with a stick, they put their hands under the cover to see if the log has produced anything. Children keep singing songs and hitting the log to have more goodies. Eventually, when they can only find something like an onion or garlic, it means that the gifts have run out and the game is over! Today’s Listening Example is “Mi Burrito Sabanero” and is one of the songs the children sing while hitting the log. This quintessential Latin American Christmas song about traveling to Bethlehem on a little donkey to see baby Jesus was originally recorded by a Venezuelan children’s choir and is easy to sing along to. And dance to. And almost impossible to get out of your head after the Christmas season. Today’s Listening Example: "Räven raskar över isen"
This week we have sang Christmas carols in France, during Hanukkah, in Italy, and Spain. We have learned about Christmas logs that poop gifts when you hit them, and Santas that leave presents in shoes. Where will we go today? Today we will be learning about the Christmas Music in Sweden! 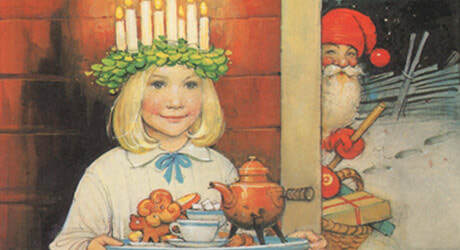 Around Christmas time in Sweden, one of the biggest celebrations is St. Lucia's Day (or St. Lucy's Day) on December 13th. The celebration comes from stories that were told by Monks who first brought Christianity to Sweden. 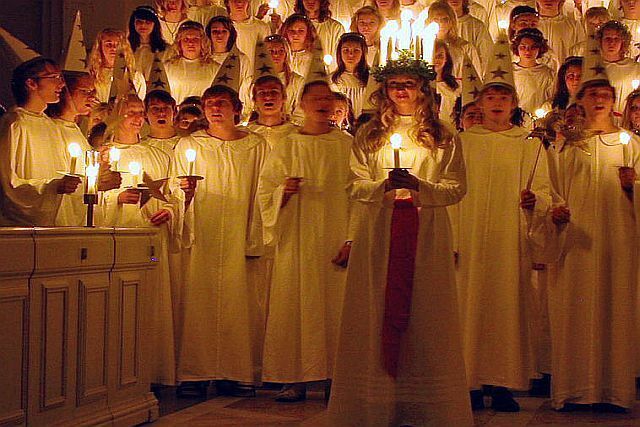 St. Lucia's Day is now celebrated by a girl dressing in a white dress with a red sash round her waist and a crown of candles on her head. Small children use electric candles but from about 12 years old, real candles are used! The crown is made of Lingonberry branches which are evergreen and symbolise new life in winter. Schools normally choose their own girl to play the part of St. Lucia and some towns and villages also choose a girl to play St. Lucia in a procession where carols are sung. Today’s Listening Example is "Räven raskar över isen", an old Swedish folk song that can be translated to the fox runs across the ice. It is the perfect holiday dance song, and Swedes sing it while dancing around the Christmas tree.